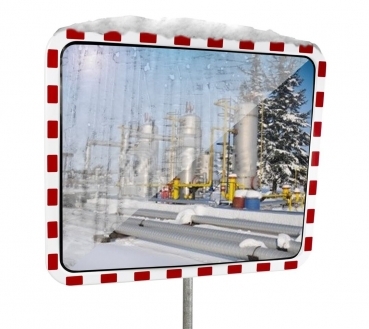 This variant is made of stainless steel, framed in a white frame with a red reflective foil, TM AC, TÜV certified. 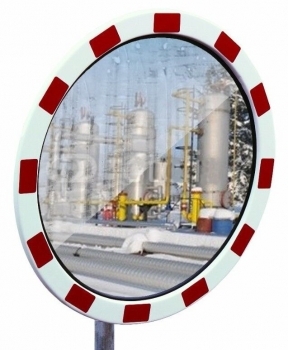 Due to the robust material, the mirror is very well suited for many years of outdoor use. 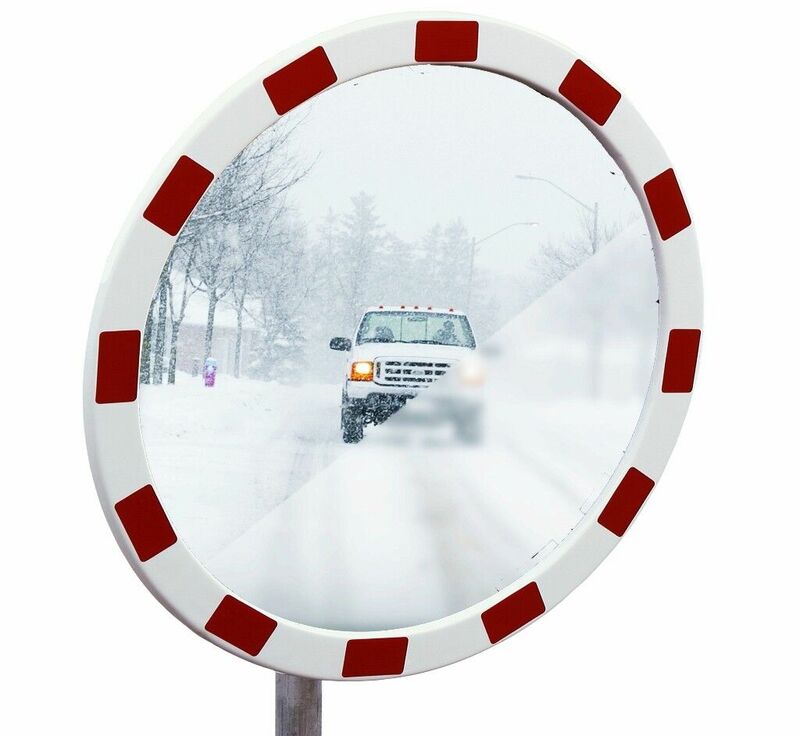 The mirror is fixed with silicone in a stable UV-resistant frame and reinforced on the back. The silicone prevents the ingress of water and thus protects the mirror in the long term. The included 4-point ball joint mount allows an exact and optimal attachment. The tamper-free TM traffic level increases safety on the road and on company premises. The danger potential is considerably minimized by the use of the mirror. The coating applied as part of the production process prevents massive fogging of the mirror. The reflective foil type RA 2 reduces the risk of accidents, especially in bad weather or darkness.